Home Style Advice	Should You Buy or Rent Groom and Groomsmen Suits? Should You Buy or Rent Groom and Groomsmen Suits? When it comes to wedding formalwear, the bride and bridesmaids usually purchase their gowns. But, what about the gents? 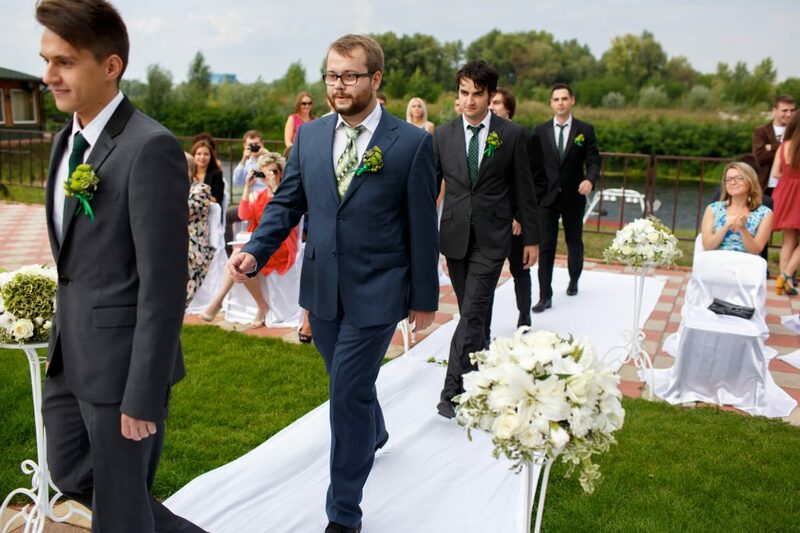 Do a groom and his groomsmen rent or buy tuxedos and suits? Both options are popular, depending on each individual’s style and his future need for men’s business attire. These questions will help you decide whether or not your wedding-day formal wear should earn a place in your closet after the big day or be sent back to the formal wear shop. Is business attire for men part of your workplace dress code? If you have a closet full of suits, and the outfit you’ll wear for the wedding isn’t too specialized, you might as well add it to your office-appropriate collection of outfits. Classic cuts and colors, such as black, navy, or grey can work for a variety of occasions, both at work and socially. However, if your wedding party is going with an eclectic look that you can’t imagine wearing again, go the rental route. We’re looking at you, crushed red velvet holiday ensemble! You’ll always have photos to remember the occasion (and outfit) by, so there’s no need to keep the suit. Do you dress up often for social occasions? If you spend your weekends at fundraisers, parties, the theater, or formal dinners, it might be a good idea to buy the formal wear and have it on hand for your next outing. A tan linen suit looks fabulous at spring and summer gatherings, while darker hues such as black or blue mesh well with fall and winter invites. If you’re more of a T-shirt and jeans person for most social moments, it probably doesn’t make sense to expand your formal wear collection. Go the rental route for the wedding. What’s your calendar look like for the next few years ahead? For some of us, being a groomsman at a wedding is the highlight of the year. We talk about it for months, share photos, and savor the memories. As much fun as it was to dress up, if you still just can’t imagine another use for your formalwear, it might as well be a rental. On the flip side, if your upcoming schedule highlights a tux-worthy anniversary party, a speaking engagement for work, and season tickets to the symphony, it might be a budget-friendly idea to buy your wedding look, so you are ready for the formal commitments on your calendar. It’s easy to vary your look with a few patterned ties, colorful button-up shirts, and dress shoes to mix and match with the suit. If you’re thinking of making your wedding-day wear yours forever, browse the Jim’s Formal Wear online shop. 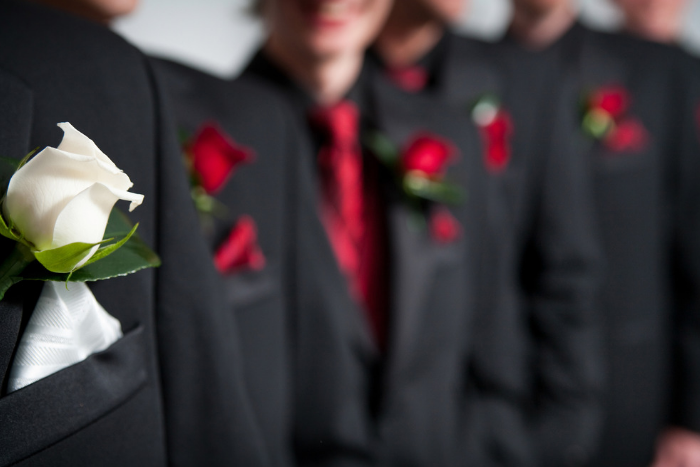 You can pick out groom and groomsmen tuxedos and suits to call your very own. Going the rental route? Browse our wide range of rental options instead.